Competing in Russia’s large and intimidating Rosa Khutor Extreme Park during the 2014 Sochi Winter Olympics, Finnish snowboarder Enni Rukajarvi executed a highly technical and nearly flawless run that thrust her into first place in the ladies’ slopestyle finals. The performance may well have been good enough for gold. Except that Jamie Anderson had one run remaining. The 23-year-old South Lake Tahoe snowboarder, a winner or runner-up finisher in 20 of her last 24 events—but not in the top three going into her final run—was game for the challenge. She dropped in, slid the top rails with clean precision and sped toward the massive, steep-faced kickers that had already thrashed so many Olympic competitors. Anderson powered off the lip of the first jump, spinning a large, smooth-flowing cab 720 with a stylish grab, and stomped the landing halfway down the transition. She carried her speed into jump number two—a switchback 540 with another solid grab—then squared up for the final showtime booter. With the confident legs of a Tahoe park rider, she boosted high into the air and rotated another 720 degrees before returning to Earth, again stamping her feet squarely to the snow. At that moment, Anderson, and all who witnessed the event’s Olympic debut, knew that not another woman in the world could duplicate the feat. Judges awarded Anderson for her impressive display of amplitude and strength a 95.25 to Rukajarvi’s 92.50. Tahoe had another Olympic gold medalist. While her Olympic glory tops her list of accolades, Anderson is no stranger to success. She learned to snowboard at age 9 and fell in love with the sport on the slopes of Sierra-at-Tahoe. By 15, she had replaced Shaun White as the youngest Winter X Games medalist. A year later, she became the youngest woman to win X Games gold, taking honors in the 2007 slopestyle. Anderson went on to win season titles in two of her sport’s premier circuits—three times in the Ticket to Ride (TTR) World Snowboard Tour and twice in the Winter Dew Tour. 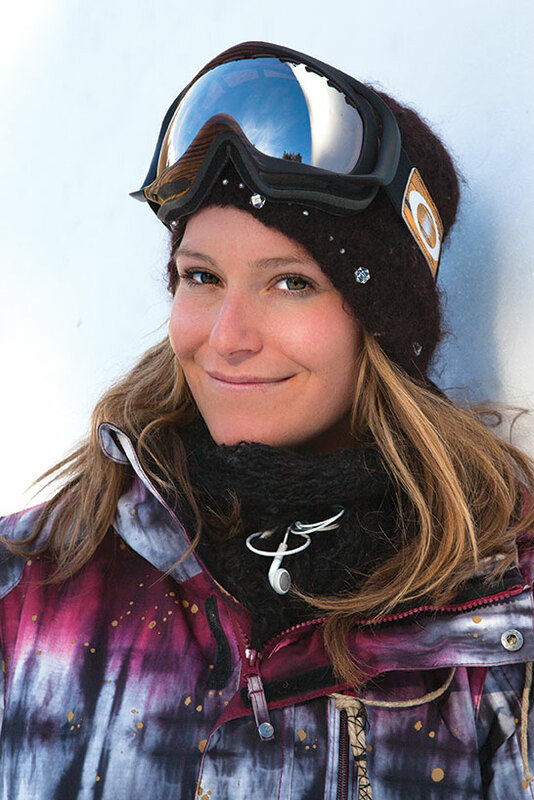 In 2013, she earned her fourth slopestyle gold and seventh medal overall at the Winter X Games. A free spirit who’s been known to hug a tree, Anderson is all about having fun and living life to the fullest. In between, she wins slopestyle contests. Sierra-at-Tahoe while filming for Mountain Movers the TV show. She and two others were the first people to ever do so. Has your life changed since winning your Olympic gold medal? It hasn’t changed; I’ve just been more busy than usual. I traveled all over this summer—Oregon, Whistler, Fiji, New Zealand, Bali—just going for it. Half surf, half snowboarding. I went to a snowboard camp in Whistler called Camp of Champ and one in Mt. Hood, Oregon, called High Cascade, and I did an event this September in New Zealand. Do you do any kind of snowboard-specific training in the summer months? If so, what? I love to mountain bike. Slack lining is really balancing and strengthening, hiking, swimming, yoga—just living a fun, healthy and active life. I love surfing, skating, mountain biking and wakeboarding. I remember your sister Joanie dominating snowboardcross competitions. How much did she teach you or motivate you in snowboarding? She has always been a big role model of mine. She always encouraged me to work hard and follow my dreams. 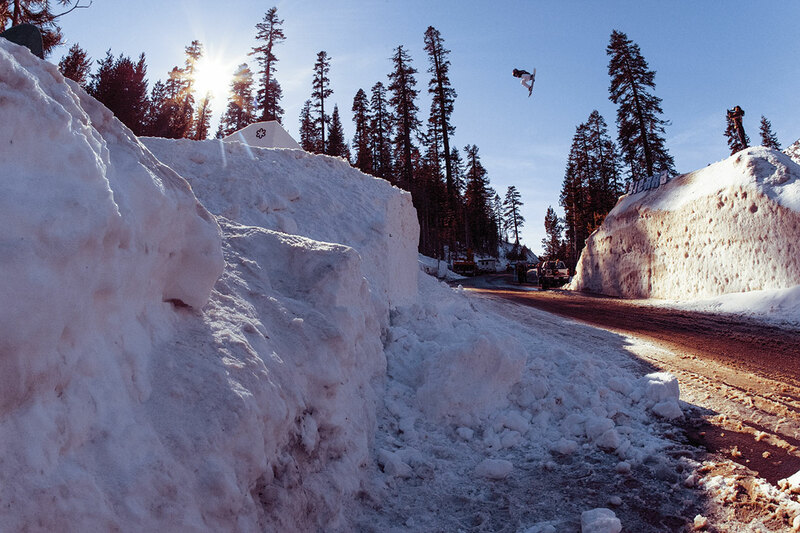 What are your snowboarding goals for the future? To continue having fun. I want to ride unique features, exploring more big mountain and backcountry—just keep it real and have fun. I think a lot of people in Tahoe have probably seen the latest ESPN Body Issue (the issue featuring athletes au naturale). What was that photo shoot like? I was definitely a bit nervous going into it, but it ended up being a really good experience. I’ve gotten a lot of good feedback. What are your plans for after snowboarding? To help people all over the world. Through my foundation, the Jamie Anderson Foundation, I want to help connect our youth and the environment. It’s a crazy world we live in, but the amount of consciousness around the globe is truly inspiring and I want to help be a part of the change I aspire to see. One love. One world. Let’s come together and help each other out. After all, that’s what we’re here for.